Shop SheaMoisture Massage Oil Fruit Fusion (8 oz. )8 oz. $1099$10 and 99 cents$1.37 / oz. Shop SheaMoisture Massage Oil Cupuacu (8 oz. )8 oz. Shop SheaMoisture Bath, Body & Massage Oil Argan Oil & Raw Shea (8 oz. )8 oz. 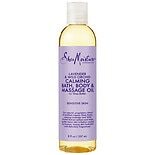 Shop SheaMoisture Lavender & Wild Orchid Bath, Body & Massage Oil (8 oz. )8 oz. 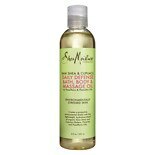 Shop SheaMoisture Coconut & Hibiscus Bath, Body & Massage Oil (8 oz. )8 oz.